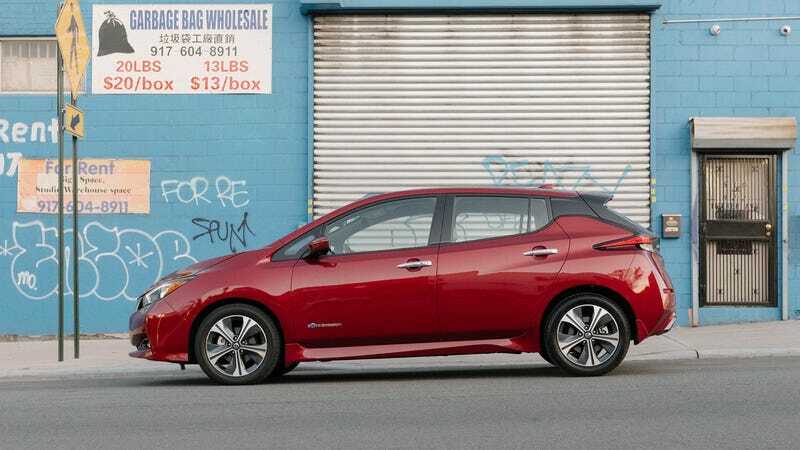 The long-range 2019 Nissan Leaf has been delayed over the brewing accusations of financial misconduct of Nissan Chairman Carlos Ghosn, with Nissan basically saying they’re waiting for the whole thing to blow over until there’s some room for its marketing machine to ramp up. The delay follows a bewildering sluggishness to get the car to market in the first place. The news comes via Reuters, which reported on the delayed long-range Leaf alongside news of Carlos Ghosn’s ousting as Mitsubishi Chairman, who was also Chairman of Nissan until the accusations of financial misconduct were announced last week. Ghosn holds his seat as Chairman and CEO of Renault until further notice. The current and only powertrain offered in the Nissan Leaf is a 40 kWh battery pack good for 151 miles of range, which puts in firmly in city-car territory and falling behind other new EVs, like the Chevy Bolt and Tesla Model 3. Of course, Nissan has covered a lot of ground with the Leaf as it is in the past, as it’s still the best-selling EV ever for now, making for a great second car to zoom around the city in. But when the second-generation model was introduced among stronger competition with not much practical improvement over the old car, it seemed a little counter-intuitive. But Nissan promised a 60 kWh model would come soon, and it was supposed to be unveiled on Wednesday with a rumored range of 225 miles and a starting price around $36,000 before incentives, which would align it much closer to something like the Chevy Bolt. Now it’s unclear when exactly we’ll finally know more about the long-range Leaf, as the company hopes to wait for the Ghosn scandal to blow over, though that could stay messy for a long time to come.